Join the Free Library of Philadelphia as we celebrate Chinese New Year and the Year of the Pig! Chinese New Year is a fifteen-day celebration which starts on the new moon (also known as Lunar new Year). On Chinese New Year, people participate in traditional activities such as: sweeping out the old year and welcoming in the new, rejoicing and reuniting with family, cooking special foods, honoring ancestors, distributing and receiving red envelopes for good fortune, participating in the special dragon/lion dance, and making loud noises with firecrackers. Schools and businesses are closed for an extended holiday break so people can visit families and relatives far away. You can browse and check out books and videos from our catalog that explore the hidden gems of Chinese culture and the Chinese New Year. 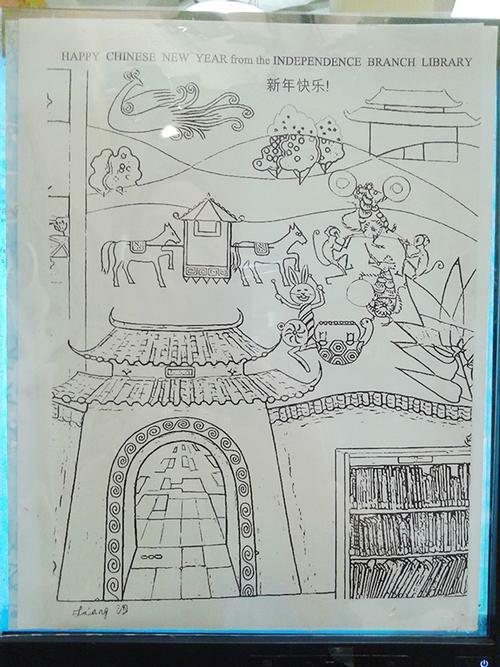 We look forward to welcoming you to the Free Library to explore the Chinese New Year and learn more about Chinese culture! 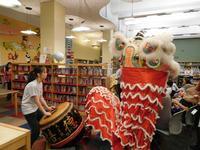 Holy Redeemer School students performing the traditional Lion Dance with drummers at Independence Library. 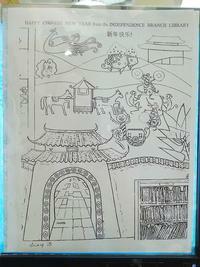 "Four Seasons/Chinese Zodiac" mural coloring page for children. 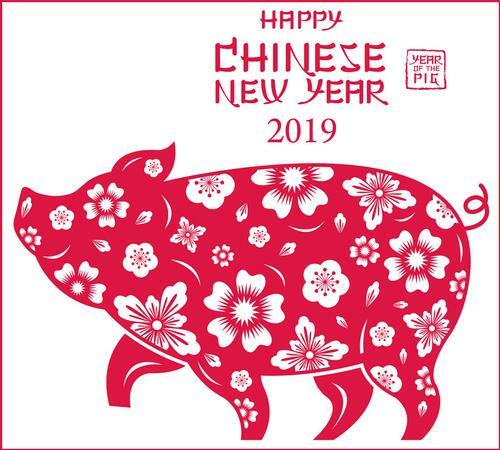 Add a Comment to Celebrate the Year of the Pig with the Free Library!